We are a full-service Graphic and Print shop catering to small and large businesses alike. 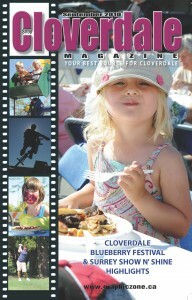 Graphic Zone also publishes the monthly Cloverdale Magazine, now in its 15th year. It’s almost time, once again, for the Halloween Parade in Cloverdale. The parade is set for Saturday, October 26th. Check the Cloverdale Business Improvement Association website for info or call the BIA at 604.576.3155 for details. We’ve been taking the group photo every year and Graphic Zone will be there again to capture all the smiling faces. See you at the parade. 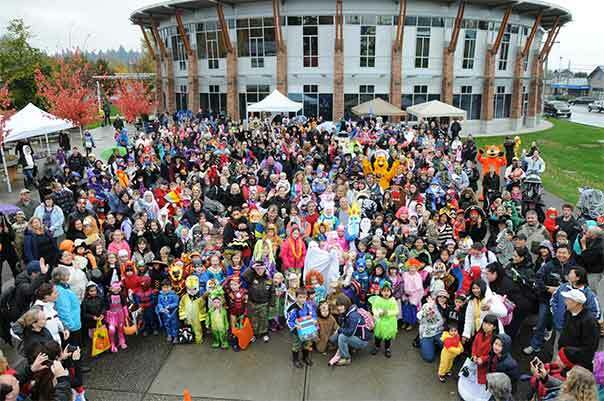 The 11th Annual Halloween Parade is set for Saturday, October 26th. This photo is the group shot of the 2012 participants (click the pic to download a high res version). You can reach us at 604.574.7919 or, if you prefer, send us an Email message. From fashion to events to news to product photography, we'll handle your vision with care and precision. From simple brochure sites to complex corporate sites, our use of the latest CSS and HTML and outstanding content management tools can meet your needs. Graphic Zone publishes the monthly Cloverdale Magazine, now in its 15th year.